One of our pre-flight rituals is to pack a fun travel kit for the kids; complete with travel friendly activities, snacks, and “flying capes.” Why do we allow such travel silliness in the airport? 1. It decreases the stress of travel. Getting up for an early morning flight is more fun when you get to wear a cape. 2. Capes make standing in long lines better (for everyone). Lets face it, you can’t be in a bad mood when superman and batman are around. 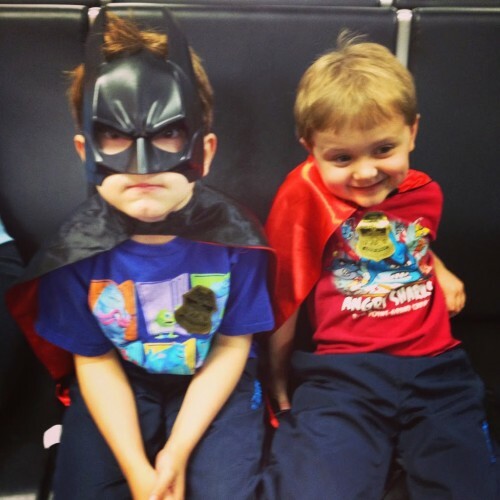 Even the most stressed travelers crack a smile when they are in line with a superhero. 4. It helps in the TSA line. Our kids feel great when they are walking through the airport in their favorite super hero cape and the workers usually respond positively. They get high fives from the both the airline employees and TSA agents. The capes provide a distraction for the kids while we send our shoes, liquids, and carry on luggage through the x-ray machines. 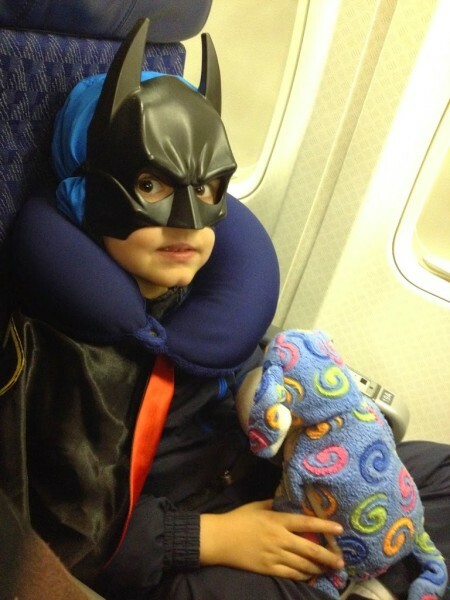 Once, a TSA agent opened a new line just for “Batman” – a nice surprise indeed! 5. I can spot them easily in a busy airport. We can’t always hold a hand through the concourse while juggling luggage – but it’s very easy to spot Superman’s Cape! 6. Capes double as a travel blanket on a chilly plane. This is probably the best part of letting the kids wear a cape. Capes are light weight and easy to fold up into your carry on bag. If you think our Kids in Capes routine is crazy, you should read about Crocs with Socks! 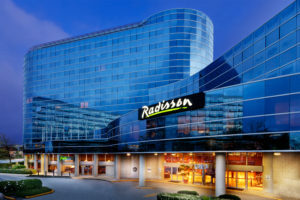 *Planning a trip? Visit our affiliate Allianz Travel for piece of mind on your next vacation. Kids covered Free! This must be the best advice for flying with kids that I have ever heard. Why have I not thought of this? Thank you. This is excellent. This is brilliant, especially since it totally does double as a blanket. Awesome and ingenious. I think it’s absolutely genius…I want one! Such a fun idea for traveling with kids! This is such an amazing idea! Sending this to my sister who is still unsure about travelling with her two sons. That’s awesome. I think our only ritual is to charge electronics the day before. Lol. Gotta have those Gameboys. Great idea to keep the kids occupied and entertained which is indeed quite a task. I LOVE this! My daughter would totally think that this would be the best idea, too! Hahahaha! Neat advise for a stress-free travel! What a fun idea! Anything to make the little ones have a better experience and fun time is a great plan!. Haha. My son would love flying with a cape! I’ll have to try this next time.